An Asian spin on your typical cooked breakfast. 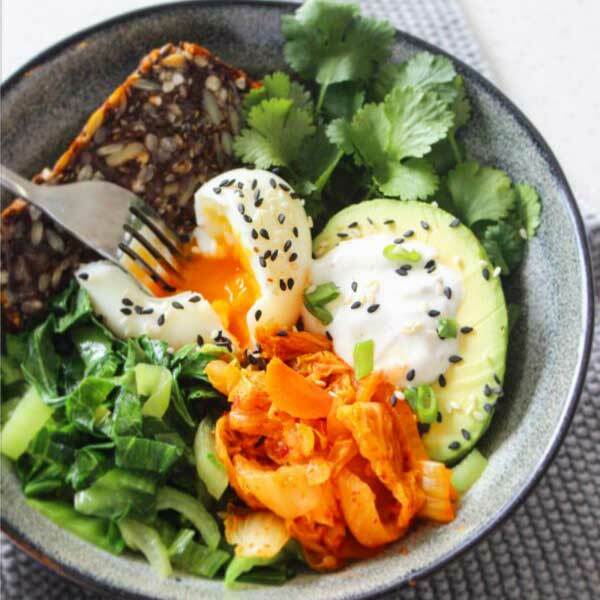 Aren’t Eggs and Kimchi a match made in heaven? Thank you Mel Chrisp for sharing your gorgeous recipe with the Be Nourished family! If you need healthy meal ideas, we highly recommend following Mel on Instagram at @freshhealthyyum. Put your Egg in a saucepan and fill with enough boiled water to cover your Egg. Set a timer for 6mins and cook on a high heat. Whilst your Egg is cooking, melt your Coconut Oil in a frypan over a medium heat and add your Bok Choy. Keep stirring for 2-3 minutes until it has softened and is a vibrant green. Remove Egg from Water and peel. 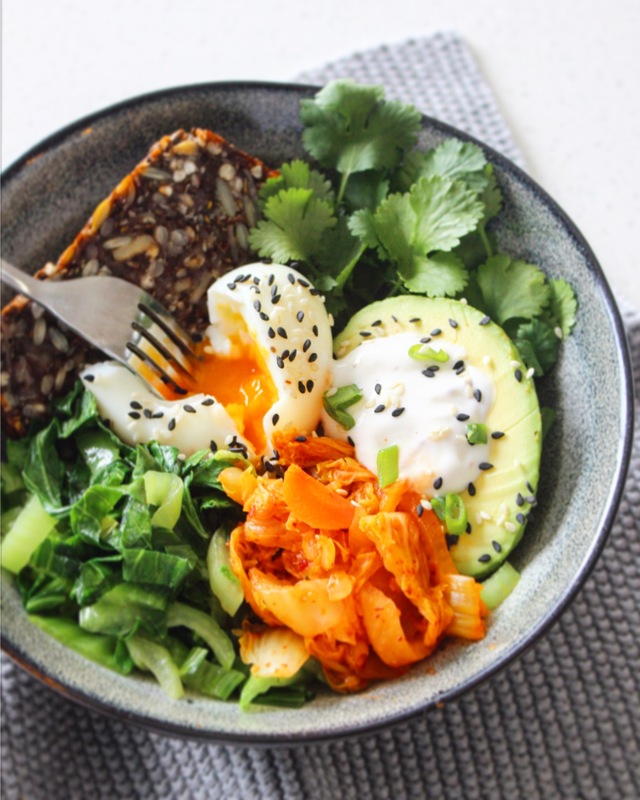 Arrange Bok Choy, Coriander, Toast, Avocado, Egg and Kimchi in a bowl. Spoon Aioli into your Avocado and top with Sesame Seeds and a pinch of Sea Salt.